Esther E. Beber Barger, 94, of Auburn, died Wednesday Aug 15, 2018 at Betz Nursing Home in Auburn. Esther was born July 22, 1924 in Williams County, Ohio, a daughter of the late Ezra and Hettie Maugherman. Esther had worked at the Auburn Rubber Company and also for Essex Wire in Auburn. She was a member of Auburn Church of Christ. She is survived by a son and daughter-in-law, Donald and Mable Beber of Auburn; daughter, Patricia Slone of Carrie, Kentucky; 10 grandchildren; 18 great grandchildren; three great great grandchildren. 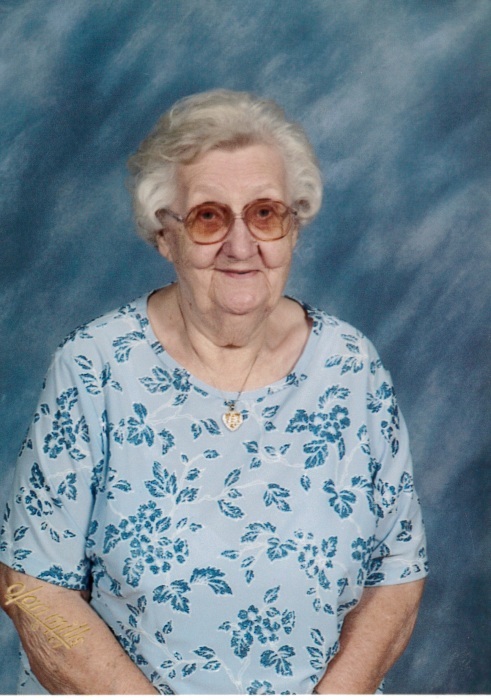 She was preceded in death by her husband, Russell Beber; daughter, Beverly Smith; brother, Wilbert “Bud” Maugherman; sisters, Virginia Daub and Eileen Schuler; and two grandchildren. Funeral services will be held 11 am Monday with visitation one hour prior at Pinnington Funeral and Cremation Services 502 N. Main Street, Auburn. Rev. Andy Grimes will be officiating. Visitation will also be held on Sunday from 2-5 pm at the funeral home. Burial in Woodlawn Cemetery, auburn. Memorial donation may be made to Heart to Heart Hospice.